Description - Our Access Walk Off Carpet Tiles definitely live up to their name being one of the most durable carpet tiles on the market. These carpet tile squares were designed to be used in high traffic commercial environments, but are perfect for high traffic areas in any home. These tiles are so tough, that they can be even installed in home garages. These ‘Berber’ tiles are very easy to install, needing only double-sided tape or a pressure sensitive adhesive and are very easy to maintain. So if a tile were to become damaged, you can easily remove and replace the tile without removing the rest of the floor. These commercial floor tiles are also very unique having been treated with a proprietary blend that allows them to dissipate odors in any room they are installed. This means that these tiles will help to improve the air quality in your home. These tiles are also constructed of 40% post-consumer recycled material and are produced with 100% recycled energy, making these tile truly ‘Green’. So if you are looking for a super durable tile that will be able withstand the daily abuse of heavy traffic and use, then our Access Walk Off carpet tile is for you. Recommended Installation Pattern - Brick, Ashlar, Monolithic, or 1/4 Turn (Parquet). Material - 100% solution dyed nylon with a Nexterra backing. Recommended Uses - Our Access Walk Off Carpet Tiles have been used in many commercial and residential applications because of their durability and ease of maintenance. 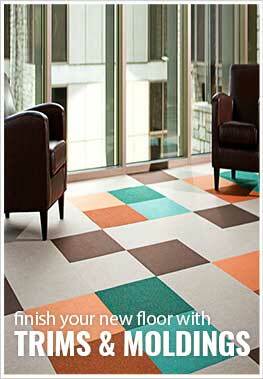 Because of these facts, carpet tiles are being used more and more in residential homes. These carpet tile squares have been used in entry ways, commercial kitchens, weight rooms, garages, workout rooms, and many other areas. These tiles can be very coarse, so we would not recommend them for a bedroom or playroom where a softer carpet tile is needed. We needed carpeting for an office remodeling for the Coast Guard in Seattle, Wa. Our rep was Kimberly Davis who was very professional, knowledgeable and got us good pricing for the carpeting squares. The service was prompt, good quality carpet and Kimberly followed up to make sure everything checked out. Great carpet for the price and so easy to install! I have purchased a couple types of carpet squares from Rubber Flooring Inc and this one is by far the best! It looks great installed and was so easy to put down. I am totally sold on carpet squares!!! My service rep from the company, Andrea S is one of the best I have ever worked with of any company! Thank you for a quality product and outstanding service!